Ryan Caldbeck is planning a quant fund for private markets — a move that could (if they noticed) worry Henry Kravis, Steve Schwarzman, and the pioneers of private equity. In early October, Ryan Caldbeck, a Stanford University–educated investor with a penchant for tweetstorms, started his windup. A burst of tweets followed, with Caldbeck threading together 18 short posts attempting to explain a concept that he said sounds insane “until it isn’t.” A sliver of his more than 16,000 followers liked and retweeted the various pieces of his screed, which at times joked but also struck a wonky tone of earnest endeavor. 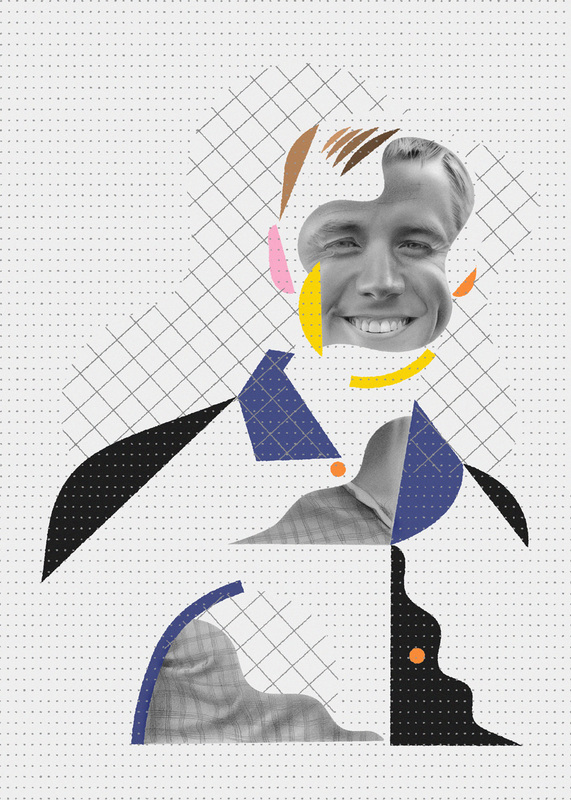 Is Ryan Caldbeck a visionary — or is he crazy? Caldbeck’s idea for systematic investing strategies traces back to his first private equity job more than a decade ago. A few months in, recalls Caldbeck, he began to get frustrated. Each week, someone would hand him hundreds of names of consumer companies and task him with identifying which to contact for a potential deal. With no other data, he would simply begin Googling them, hunting for some “rough metric” like the number of Target stores in which their products were sold, while trying to get a sense of their brands from the packaging, says Caldbeck, now 40. He was working for TSG Consumer Partners, the job he had landed after earning an MBA from Stanford in 2005. Not much brain power was required to glean insight online, where Caldbeck might discover that one brand had just made it onto the shelves of Whole Foods Market or that another was too small for investment because it was in one grocery store in a single town. That thought, it turns out, led him to create CircleUp, an investment firm that targets consumer retailers and uses machine learning to evaluate them for its portfolio. He’s CEO of the San Francisco–based firm, whose office, with its bright blue walls at the entrance and white picnic-style tables in an open common area, is another sign of his unconventional take on the world of investing. Started in 2012, CircleUp plans to raise a systematic fund whose quantitative methods give it an “information advantage” over traditional private market strategies, according to Caldbeck. While hedge funds have long used quant strategies in public markets, cracking private markets is tough as they’re less transparent, and because companies, unlike stocks, can’t be bought and sold daily. CircleUp, in seeking to figure it out first, could emerge at the center of disruption in private capital. The firm is already fielding calls from large quant funds and high-profile buyout firms wanting to learn more about its efforts, according to Caldbeck. Ken Kroner, the CEO of startup Pluribus Labs and former head of scientific active equities at BlackRock, says he’s struck by the overlap between what CircleUp is seeking to accomplish and what he was attempting as a quant 20 years ago. Barclays sold BGI to BlackRock for $15.2 billion in 2009, as Wall Street was recovering from the financial crisis. Kroner retired from BlackRock in 2016 and in June became CEO of Pluribus, a new systematic investment firm focused on public markets that’s backed by Golden Gate Capital. What CircleUp is doing can’t be done sitting alone at a computer at home, says Kroner: Quantifying the investment process in private markets looks like a long shot because the data is not widely and easily available. Yet the difficulty of the challenge excites Kroner, who believes Caldbeck and his team will show the naysayers and slow movers that a systematic private equity fund is possible. KKR & Co., the investment firm run by Henry Kravis that helped pioneer the buyout industry, declined to comment on its interest in systematic investing in private markets. Blackstone Group, the private equity firm led by billionaire Stephen Schwarzman, didn’t respond to requests for comment. BlackRock, the world’s largest asset manager, declined to comment. CircleUp expects to raise about $375 million for a systematic fund that will buy minority stakes in about 150 companies. That’s a much larger portfolio than is typically seen in private equity, with the firm spreading its information advantage over a wide number of bets to reduce volatility. By way of comparison, its discretionary venture fund — a $125 million pool called CircleUp Growth Partners that finished raising capital last year — will hold about 35 companies. The fundraising for the systematic strategy has not officially begun, but institutional investors have proactively started reaching out to the firm about its plans. Pensions, sovereign wealth funds, and family offices are among those with queries about its systematic strategy, says Caldbeck. CircleUp is also attracting interest from a less traditional crowd: quant funds — which might one day be competitors — and retailers. Caldbeck, who declined to name the investors, recently hired a portfolio manager from a large quant firm as part of CircleUp's data science push. Earlier this year, Ying Wang left AQR Capital Management, co-founded by Cliff Asness in 1998, to join CircleUp’s growing team. She had worked on a team that manages a systematic macro fund at the Greenwich, Connecticut-based firm, which oversaw a total of $226 billion in assets at the end of September. In an August blog post, Wang said she moved to CircleUp to help its team of data scientists, investors, and engineers fundamentally change private investing with machine learning technology. CircleUp is solving the technical and business challenges that have kept systematic investing from private markets, according to Wang, who earned a physics degree from Peking University and a PhD in electrical engineering from Princeton University. But others — including prominent industry veterans — are not so sure quants will transform private markets anytime soon. Rob Arnott, founder and chair of Research Affiliates, is deeply skeptical about systematic investing in private equity. An investor can look at the historical results of private equity strategies to derive a deeper understanding of their underlying beta and the “true role of alpha,” but using quantitative tools as a means of extracting alpha is hard, Arnott says. The risk is that the signals detected by investors are spurious due to an overwhelming amount of noise in the data being considered. “It’s what I call ‘a ghost’ in the data that looks like something real but isn’t,” says Arnott, who founded Research Affiliates in 2002. His work is widely embraced by fund managers. At the end of September, $195 billion in global assets were managed using investment strategies developed by his Newport Beach, California-based firm. Arnott, who cautions about looking for patterns in unreliable data, says he’ll soon release a paper on machine learning that he co-authored with Campbell Harvey, a finance professor at Duke University who is a partner and senior adviser at Research Affiliates, and Harry Markowitz, winner of the Nobel Prize in economic sciences in 1990. And there’s plenty of room for error either way. There’s another nuanced point to consider: People may have different ideas about what systematic investing actually means, according to Arnott, who is not familiar with CircleUp’s model. In other words, are the humans making the bets, or have they turned the investing decisions over to the machine? The line can be blurry. CircleUp Growth Partners, the firm’s $125 million discretionary fund, uses a strategy that Kroner says may be considered “quantamental.” That’s the term public market quants use to describe a blend of fundamental and quantitative strategies. “There’s a very heavy reliance on systematic methods, but a portfolio manager still has the discretion to make the decisions,” he explains. Kroner says he will invest in CircleUp’s systematic fund, placing his confidence in the idea that its machine learning technology will be empowered to do the betting. Caldbeck’s mission is distinct from other efforts to disrupt private equity. He’s not seeking to replicate the industry’s gains within public markets, the avenue investors including Man Group have taken by screening for listed companies with private-equity-like features. CircleUp’s machine learning technology platform, Helio, tracks 1.4 million consumer retailers across North America to identify breakout brands in the private market that the firm will back with venture capital. Helio is designed to do a better job of consistently finding companies worthy of investment — and with more ease — than the traditional method of attending parties, meetings, or trade shows across the country. That’s essential for CircleUp because it’s investing in small deals, typically writing $2 million checks. Obviating the need to travel lowers the cost of deal sourcing, an important feature of Helio but not the only advantage CircleUp sees in the technology. According to Caldbeck, it’s helping the firm build a “scalable and repeatable” system that removes some of the blind hope and bias of discretionary managers building concentrated portfolios. For example, a venture capital fund could make 50 times its money on a tech deal its manager struck thanks to a chance meeting with an entrepreneur at a cocktail event. But Caldbeck questions the odds of it happening twice. CircleUp, co-founded with Rory Eakin, started by building an algorithm to evaluate consumer retail companies that applied for an investment from the firm. The firm collected financial data, such as revenue growth and gross margins, while pulling in “some light information” from websites such as Facebook. Then the firm learned something surprising about the most predictive data sets for determining whether it wanted to invest in a company. As it turned out, they were pieces of information CircleUp did not need to ask private businesses to provide. Helio finds plentiful data on private consumer businesses online because they want people to know about their products and where to buy them. “They’re not going to tell you everything, but they tell you a lot of information,” Caldbeck says. For example, anyone can go online to see where a particular protein drink is sold and at what price, or to find out how many flavors and sizes of the beverage a store carries. The ingredient deck isn’t a secret, nor is what people think about the drink. They’re blogging about it and sharing their opinions and preferences on social media. That’s all valuable information to CircleUp. “Pulling this together over time is critical for this whole thing to be successful,” Caldbeck says. CircleUp can use Helio to get a sense of a company’s growth trajectory relative to its peers because Helio is tracking monthly changes to the data. If a particular product is now sold at 300 Whole Foods stores, compared to just three last month, then “that’s a pretty interesting indication of growth,” Caldbeck says. Yet collecting information and making it useful for analysis isn’t easy. “The data itself is extremely hard to pull together,” Caldbeck says. “It’s really, really messy.” The firm’s engineers and data scientists have to clean and make sense of it before building algorithms that can look at key areas such as the strength of a brand, the uniqueness of a product, and the breadth and quality of its distribution, according to Caldbeck. But once the data and algorithms are in place, they can help beat back the biases that so often invade investing. Investors may make bad decisions or miss good opportunities because they are swayed by personal tastes and interests, says Caldbeck, who grew up in Shelburne, Vermont, and earned a bachelor’s degree in public policy from Duke University in North Carolina. Caldbeck knows that investors can live far from the companies they back and that consumer tastes in towns and cities across the U.S. don’t aways line up with the personal preferences of a portfolio manager. He says that when evaluating deals, private equity managers judge a product’s packaging by using their own eyes. Sometimes the few managers in charge of a fund might pass on investing in a new snack because they don’t like the taste. For example, he did not immediately see the appeal of Liquid I.V., which sells packets of flavored powder that when mixed with water helps hydrate faster. But Helio spotted the company’s strong growth and ranked it a strong brand, and an investment from CircleUp Growth Partners followed this year. Limited partners in the discretionary fund include Kroner, the Pluribus CEO; Singapore’s Temasek; and Euclidean Capital, the family office of James Simons, the billionaire co-founder of quant hedge fund firm Renaissance Technologies. In its own quant-style push, CircleUp says Helio is analyzing billions of data points across the companies it tracks to understand and predict their success. The firm is now processing about 200 terabytes of data each month, not an insurmountable amount of information for today but a volume no financial services firms were handling in 2010, according to Caldbeck. “The thing that allows us to sleep really well at night is knowing that pulling this data together over years is, we think, a very big barrier to entry,” he says. In the private consumer sector, CircleUp has created a data moat, according to Kroner, who meets regularly with the firm as an adviser. “There are 400 popcorn companies in the U.S. all trying to be the next Orville Redenbacher — all privately held,” Kroner says. CircleUp has volumes of data that no one else has on these companies, and in his view, it’s enough to analyze them within the systematic strategy the firm’s developing. CircleUp’s data include valuable private financial information collected directly from the tens of thousands of early-stage consumer companies that have applied to the firm for an investment or a loan. Caldbeck invests in companies with $1 million to $15 million in revenue that typically are growing more than 100 percent a year. They tend to have strong margins relative to their peers, but they aren’t producing any earnings before interest, taxes, depreciation, and amortization. “They’re spending the money on growth,” he says. Other possible buyers include large consumer businesses seeking innovative brands to help them grow. But he believes it’s a hurdle CircleUp will clear. The firm expects the systematic fund will make primary investments over three years, with follow-on investments in companies likely to be made within two years of the initial deal. The fund anticipates holding the companies for about five to seven years before exiting those investments, most likely through a sale. CircleUp’s investment thesis does not involve leverage, says Caldbeck, making it different from buyout funds that finance their deals with debt. Private-equity gains in the consumer-and-retail sector have been strong in the U.S., according to a Cambridge Associates report this year that tracked internal rates of return from companies that received initial investments from 2000 to 2016. Gross IRRs for each year ranged from about 10 percent to about 38 percent, with gains of 18.75 percent in 2016, the report shows. With investors seeking bigger gains from private equity than they can expect to reap from public equities over the next ten to 15 years, choosing the right manager is critical, according to a J.P. Morgan Asset Management report released at the end of October. There’s a wide dispersion in private equity performance, with the average private equity manager failing to deliver “a meaningful premium” over public markets in recent years, the firm said in the report. “Tech venture is a gamble,” says Caldbeck. Only a small group of VC funds tend to be consistently successful. He points to Benchmark, Sequoia Capital, and Union Square Ventures as ranking regularly among the top venture firms. Their success is “repeatable,” he says, but not “scalable” because their star investing staffs, however talented, are small and can only do so many deals. While many VC funds invest in tech, Caldbeck says CircleUp runs into little venture competition in consumer packaged goods. And he likes that consumer retailers all share the same basic business model, making it the same game of chess over and over again. Contrast that with tech, where he says business models vary wildly. Over time, though, Caldbeck may expand CircleUp’s systematic strategies to other areas of the private market. It’s a long way off, but possible. Meanwhile, Kroner predicts that private equity firms will be forced to follow the path set by CircleUp. When they finally understand the need to adapt, they’ll also discover how much work must be done to catch up. But they’ll still go down that path, he says, because when CircleUp proves it can be done, everyone else is going to follow.